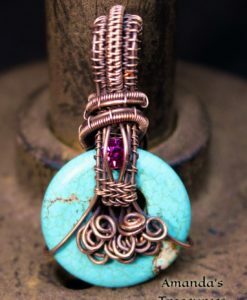 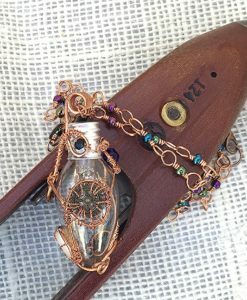 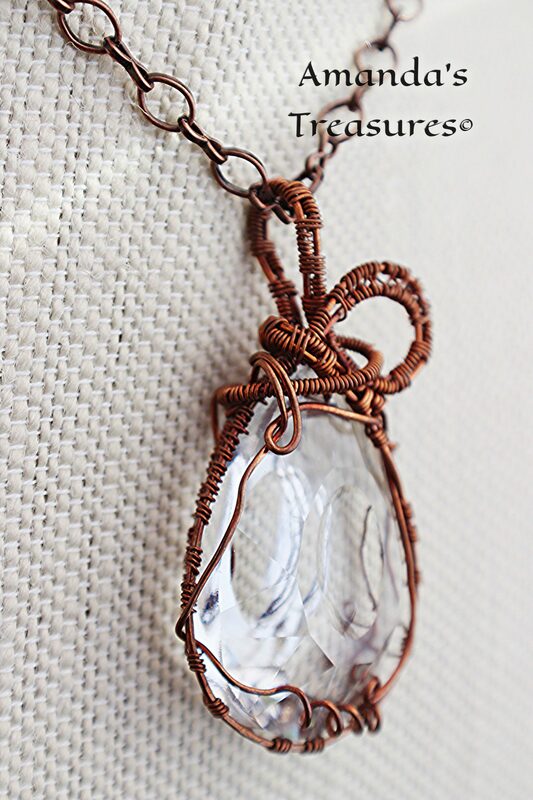 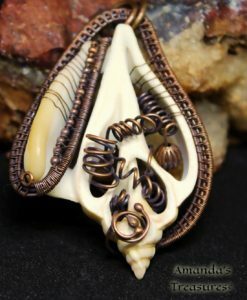 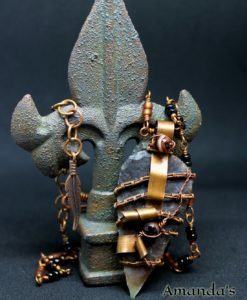 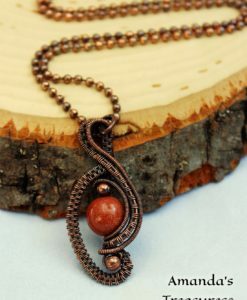 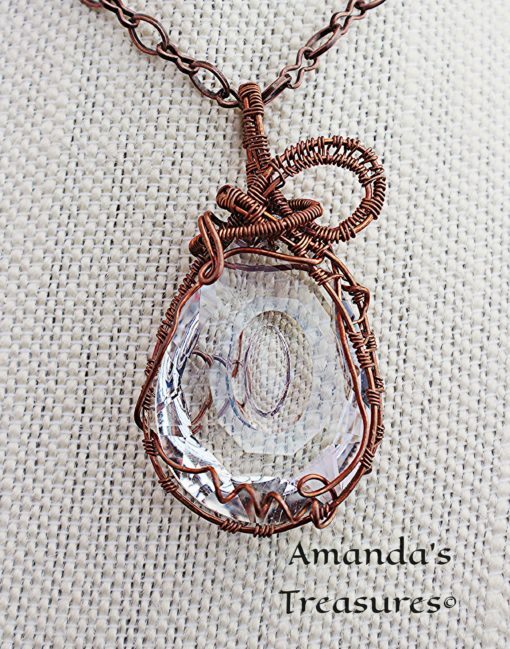 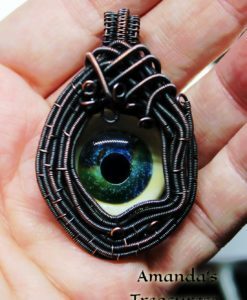 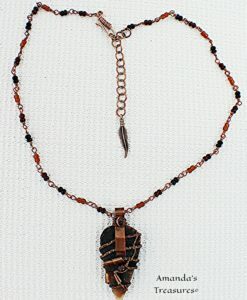 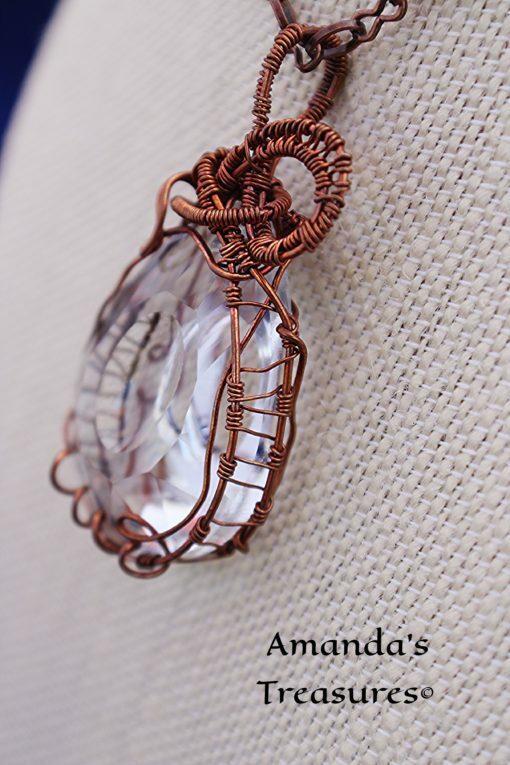 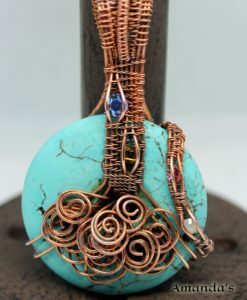 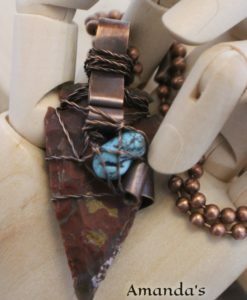 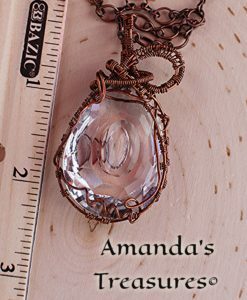 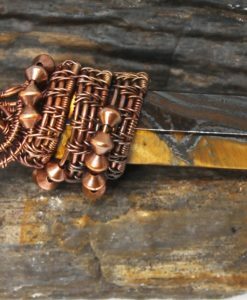 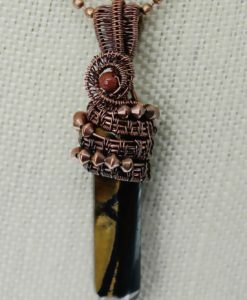 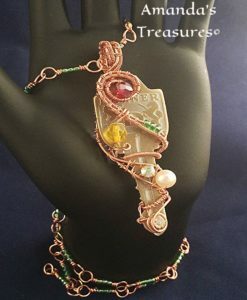 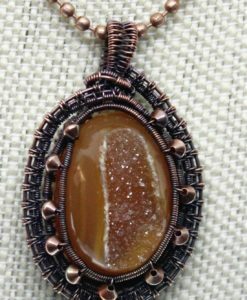 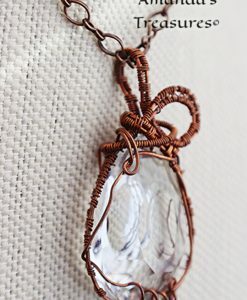 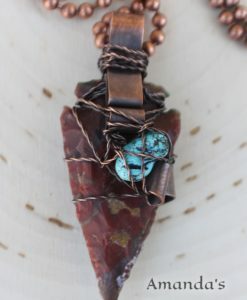 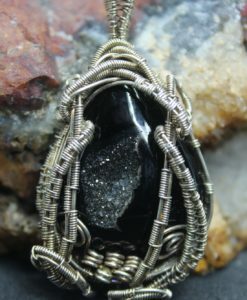 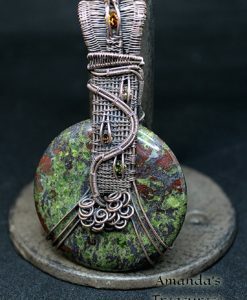 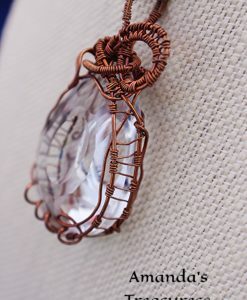 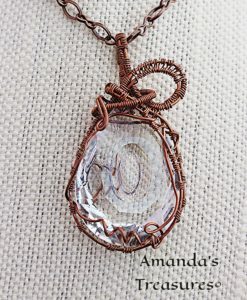 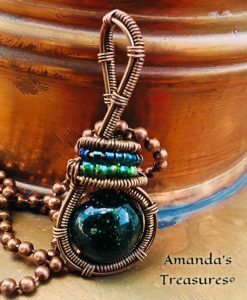 “Alina” is a Copper Wire Wrapped Dragon’s Eye Crystal Necklace. 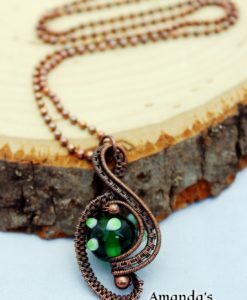 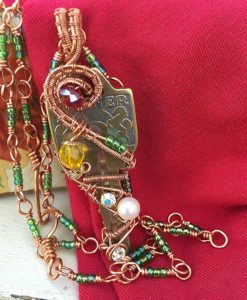 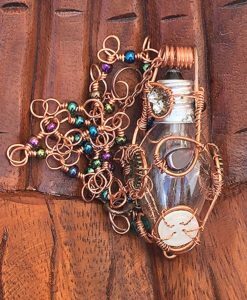 The pendant on this necklace has a beautiful prism effect and is completely transparent, this feature enhances what you are wearing and shows the vine design of the pendant through both sides, the design comes complete with copper oval chain. 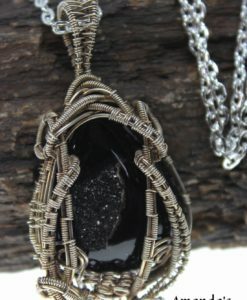 Perfect gift for her. 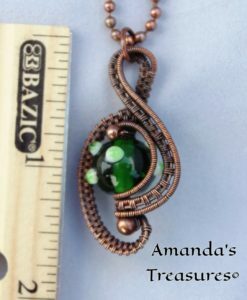 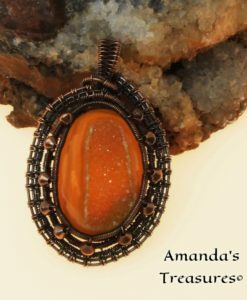 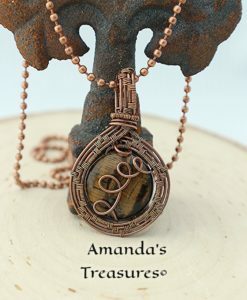 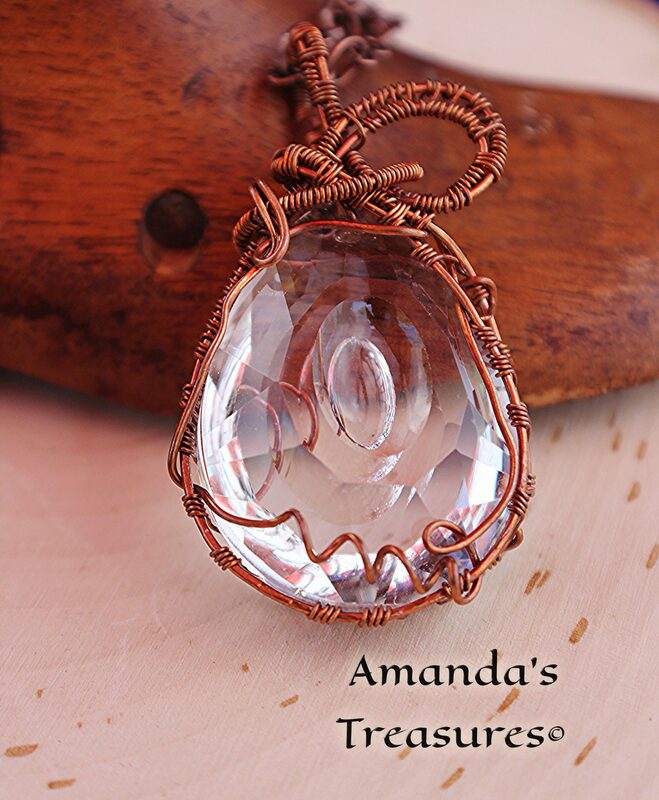 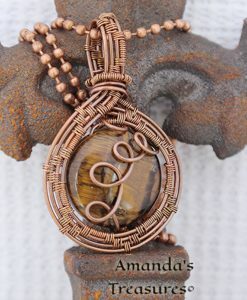 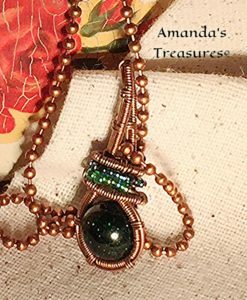 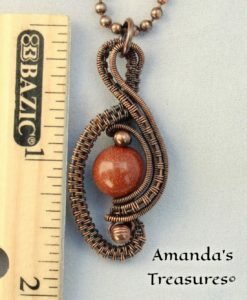 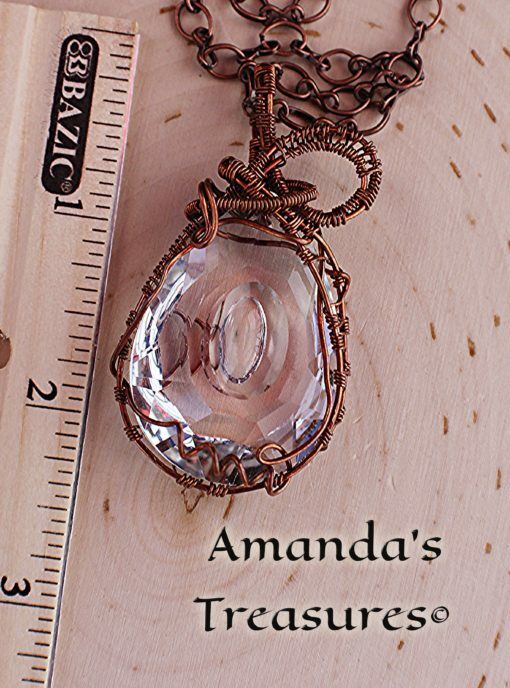 Original design handmade with love and dedication by Amanda’s Treasures.